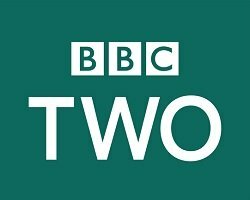 General TV Channel / BBC Two is the second television channel operated by the British Broadcasting Corporation (BBC) in the United Kingdom, Isle of Man and Channel Islands. It covers a wide range of subject matter, but tending towards more "highbrow" programmes than the more mainstream and popular BBC One. Like the BBC's other domestic TV and radio channels, it is funded by the television licence, and is therefore free of commercial advertising. It is a comparatively well-funded public-service network, regularly attaining a much higher audience share than most public-service networks worldwide.